How much of a problem can a single dental flaw really be? If you have a tooth that fails to fit in with your smile due to its shape, size, or a color, you can be well aware of how a seemingly minor issue can seem to overwhelm your appearance. You can be relieved to know that your Allen, TX dentist can offer cosmetic dental work that can help you hide bothersome flaws with a single appointment. For many people, a bonding treatment can lead to impressive, long-term changes that fit in easily with your smile. Flaws that impact a tooth’s shape, size, or color can be addressed with a bonding treatment, which involves a careful application of resin material to the tooth’s enamel. After this substance is applied and properly shaped, your tooth can fit in with its neighboring teeth, and stop attracting unwanted attention. Patients who elect to have a bonding treatment performed to fix cosmetic concerns can see results in as little as one appointment. What Other Cosmetic Treatment Options Can You Count On? The goal for any cosmetic procedure is to fix frustrating flaws without making it apparent that you have undergone dental work. To accomplish this, your dentist can use materials that closely match your natural tooth structure. The resin material used in a bonding procedure can imitate your enamel, making it easy to blend in. 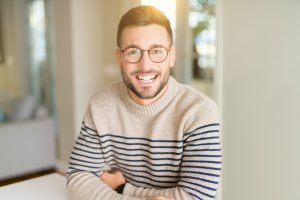 When you have porcelain veneers placed, your work can match the look, texture, and color of your other teeth, so there are no concerns that your veneers might seem conspicuous. It can be alarming to see how a dental injury might change your smile. In the event that you need to do something about a conspicuous chip or crack affecting a tooth, cosmetic work may not be the recommended solution. Instead, your dentist might need to place a dental crown. With your crown secured, you can bite and chew with your once-vulnerable tooth, and not worry about further harm. Lifelike crowns are available, so your smile can still see improvement. At Allen Family Dental, patients can count on quality care when they have concerns about their appearance. Our practice is proud to offer a range of cosmetic, restorative, and preventive services for people in and around the Allen, TX community, including Plano, McKinney, and others. If you have questions, or if you are ready to set your consultation with Dr. Torrens-Parker or Dr. Lizardi, call Allen Family Dental in Allen, TX, today at (469) 342-6644.